Channel Islands National Park encompasses a small archipelago of islands off the cost of Los Angeles. 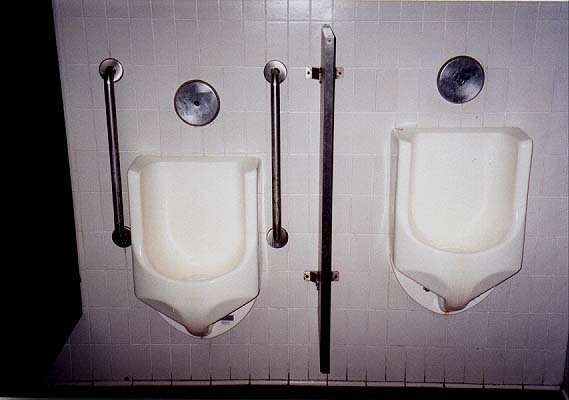 These urinals are located at the visitor center, which is located on the mainland in the town of Ventura, CA. This picture was submitted by XBOG. He writes: "The islands, off the coast of California, are not heavily visited due to their relative inaccessibility (expensive charter boats) and lack of facilities. The visitors center does have fascinating exhibits though if one wishes to learn about the islands without actually making the journey."